The World Travel & Tourism Council (WTTC) has commended Saudi Arabia on its commitment to prioritising Travel & Tourism in the country. It has also congratulated HRH Prince Sultan bin Salman bin Abdulaziz Al-Saud on being honoured by the UNWTO for his global leadership and contribution. 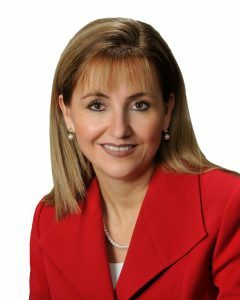 Gloria Guevara, president and CEO, WTTC, said: “The Saudi Arabian government has been a great example to the Travel & Tourism public sector in prioritising tourism growth in the country in order to generate further economic wealth and jobs as the country diversifies their income streams. Guevara said the prince had been a great ally for the tourism sector and acknowledged his efforts to highlight the Kingdom’s cultural heritage as an important attraction for tourism. The Kingdom of Saudi Arabia (KSA) has seen tourism increase by more than 60 per cent under Prince Sultan’s leadership. WTTC forecast a 6.4% growth of Travel & Tourism in Saudi Arabia, well above the global average of 3.6% forecast growth for 2017, with employment figures expected to rise by 3.7% in 2017. Guevara met with HRH Prince Sultan bin Salman bin Abdulaziz Al-Saud at the UNWTO General Assembly in Chengdu earlier this month, where they discussed the country’s tourism strategy and the push to expand Saudi Arabia private and public investments in the sector. Last year, the Saudi Arabian government announced ‘Saudi Vision 2030’, which outlines huge increases in investment into the Travel & Tourism sector, including new tourism infrastructure on a 200km stretch of Red Sea coastline and theme parks to increase its product offer for leisure travellers. Travel & Tourism generated SAR244.6bn (US$65.2 billion) to Saudi Arabia’s economy in GDP, which is 10.2% of GDP and supported 9.7% of total employment.